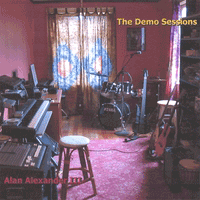 Alan Alexander III: Electric piano, bass, percussion, flute, electric guitar, background vocals. Spread the music around. Learn to play this song on piano or guitar! All the notes are on the page. Only two bucks. PDF download via email. Available to license for your film, television, video or theater project. © Dub Squad Music, BMI. All Rights Reserved.